How much is the medium frequency induction heating furnace?environmentalist? Induction heat treatment furnace ,also called induction heating furnace, is the equipment for heating and processing metal workpieces such as steel bar, thread steel, steel rod, steel pipe, billet, aluminum rod and medium thickness plate under the policy of environmental protection and energy saving. The environmental protection production of the metal heating treatment industry is the theme of the national environmental protection department at present, so the investment prospect of the medium frequency induction heating furnace is broad, so how much is the medium frequency induction heating furnace for a set of rebar heating? Is environmental protection up to the standard? One, some people say that the medium frequency induction heating furnace is too expensive, where is it worth? The intermediate frequency induction heating furnace for rebar heating is so hot that the concern is naturally high. Some people say that the price of the intermediate frequency induction heating furnace for rebar heating is too expensive to buy at all. Then, where is the equipment? Where is it worth more? a, PLC control system: the integration of digital operating system, can be opened, process conversion, alarm, shutdown and other operations of the remote control, real-time monitoring of the workpiece temperature, current and other data, real-time monitoring of the workpiece, such as real-time temperature, current and other data. Realize safe operation, save manpower operation cost more. b, flexible control: the equipment uses electromagnetic induction heating technology, in the process of heating the workpiece does not need to preheat, PLC console, just select the corresponding program number can be one-button operation. 2. It is not expensive for you to look at the configuration, so as to avoid the high price of the low-speed equipment The investment of a set of medium-frequency induction heating furnace is not a small number, even a small number, the low-configuration is also twenty thousand, this is only a small factory to produce, the price is relatively cheap. 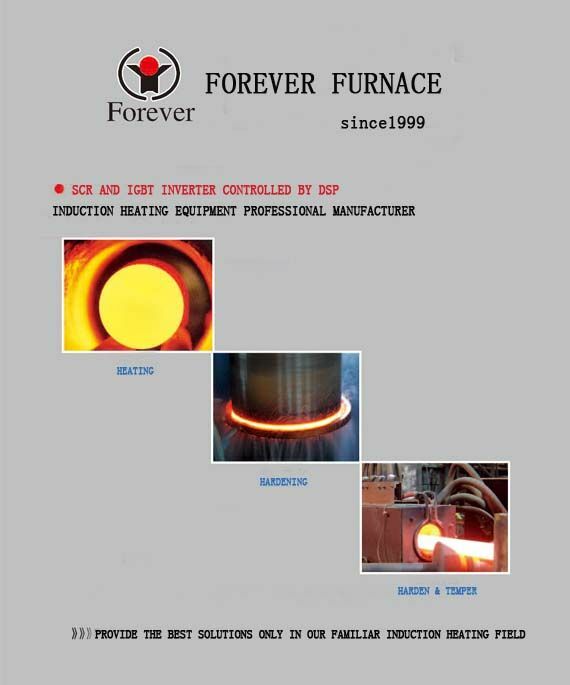 The manufacturer of the medium-frequency induction heating furnace has a large number of brands, and the price of each manufacturer is different, so it is not expensive to see how the equipment configuration produced by the manufacturer is, so as to avoid the high price of the low-priced equipment. 3.good things are not afraid of comparison, there is a choice, domestic manufacturers of induction heating furnace production is as numerous as hair, when you do not know how to choose, the good way is to find a few more comparison, comprehensive consideration, Choose a more appropriate one. Three, how much can a medium-frequency induction heating furnace cost? Since the medium frequency induction heating furnace has many brands and various configuration forms, the price quoted for the induction furnace varies from hundreds of thousands to millions of dollars, depending on the size of production capacity, the configuration of equipment, and the form of combination, so the price of induction furnace varies from hundreds of thousands to millions. The specific price please call Hebei Yuantuo mechanical and electrical manufacturer’s service hotline, the professional technical personnel according to your actual demand for you reasonable quotation! 4.environmental protection is so strict, the medium frequency induction heating furnace can be successfully produced? Now the environmental protection check is so strict, the high pollution metal heating treatment equipment is gradually being phased out. If the environmental protection performance is not achieved, our equipment will certainly not be sold at all. Therefore, the far-range medium-frequency induction heating equipment is chosen. Can help you smooth production, early profit! 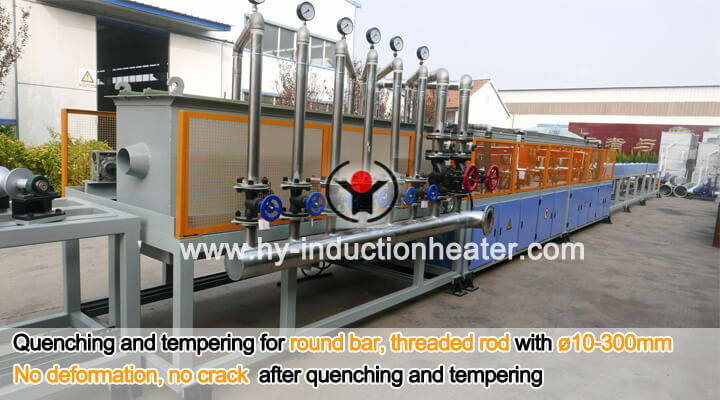 Hebei Yuantuo Mechanical and Electrical Plant specializes in the research and development and production of induction heating industry for nearly 20 years. The induction reheating furnaces such as screw steel heating furnace, steel bar heating furnace, billet heating equipment, steel tube heating furnace, and medium and heavy plate heating furnace are exported to many countries and regions abroad. The company has professional engineers through the analysis of user needs, provide tailor-made solutions, special car transportation and distribution, free installation, later parts replacement, equipment maintenance and repair matters responsible for the final. Hebei Yuantuo Electrical and Mechanical Factory welcomes new and old customers to come to our company to inquire about the price! Now the environmental protection check is so strict, the high pollution metal heating treatment equipment is gradually being phased out. If the environmental protection performance is not achieved, our equipment will certainly not be sold at all. Therefore, the far-range medium-frequency induction heating equipment is chosen. Can help you smooth production, early profit!